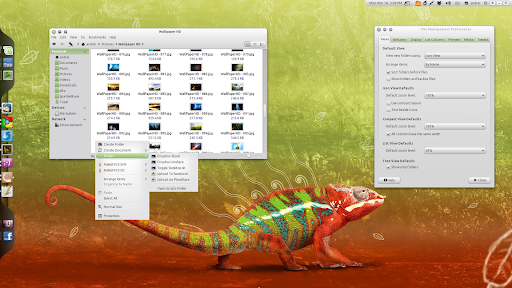 Minty Freshness is a new theme created by Skies Of Azel, the Orta theme developer, especially designed for Linux Mint Debian Edition (the theme could become the default LMDE theme). I've used Skies Of Azel's debianization to create a .deb for the latest Minty Freshness so it's now very easy to install it in Ubuntu / Debian / Linux Mint. 1. To be able to install the Minty Freshness deb, you'll firstly have to install Mint X Icons (this is a required dependency for the deb) - download Mint X Icons it from HERE. If you're not using a Debian-based Linux distro, you can install Minty Freshness following the steps in our initial Minty Freshness post. Update: Minty Freshness is now available in the WebUpd8 themes PPA. Thanks to Skies Of Azel for the tip!